The PBT marketplace continues to witness introduction of new polymer formulations or innovative integration of PBT with other materials. A number of PBT providers have introduced new polymer formulations with improved characteristics and at affordable costs. In October 2017, BASF developed an Ultradur® - a polybutylene terephthalate (PBT) for PVC windows wherein PBT replaces steel and acts as a stiffening agent that deliver comparable strength as that of steel at an effective cost. In November 2017, DSM announced addition of hydrolysis-resistant grades of PBT to its Arnite® family of the thermoplastic polyester. The new introduction was aimed at providing an affordable solution for the application with exposures to humidity and high temperature such as automotive sensors, connectors and control devices. In October 2018, LAXNESS announced the expansion of its product range of halogen-free flame-retardant PBT compounds to include variants with outstanding fire resistance in glow wire tests. 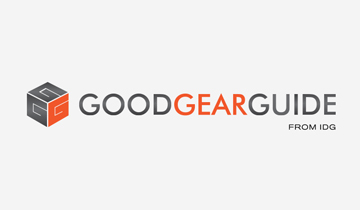 The new product range is reinforced with 25% glass fiber and the company is planning to introduce product trials in the market soon. DuPont Transportation & Advanced Polymers is planning to introduce a new Crastin® thermoplastic PBT polyester resins for high voltage EV/HEV connectors in October 2018. The new introduction is a fully-colored-compounded product that accommodates evolving automotive OEM requirements in EVs and HEVs. Fact.MR’s study offers incisive insights on the PBT Market. A summary of the report is available upon request. As a sustainable alternative to petroleum-based plastics, development of bio-based plastics is the platform where a bulk of R&D investment is focused. In the PBT marketplace, research and developments activities are aimed at making PBT greener by increasing more bio-based content and efficient with the incorporation of innovative formulations. As PBT applications range from automotive and electronics to other plastic-based uses, associated environmental concerns and increasing demand for bio-based solutions have led PBT manufacturers to ramp up efforts to devise biodegradable and renewable forms of PBT. Chemical industry titans such as DSM, DuPont and BASF have introduced bio-based PBT polymers equally efficient as their synthetic counterparts for multiple applications. The landscape of specialty chemicals including engineering polymers continues to witness volatility in prices owing to fluctuations in raw material costs. In the recent past, the PBT marketplace has witnessed price increase of PBT formulations led by increasing raw material costs across world countries and import tariffs on engineered materials. In August 2018, Celanese Corporation announced a price increase on its PET, PBT and other engineering polymers. 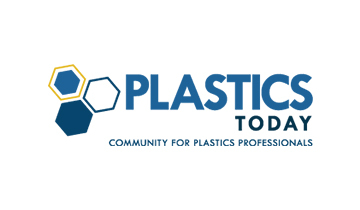 In September 2018, Chang Chun Plastics (CCP), a global provider of plastic resins announced a price increase for company’s PBT neat Resin. 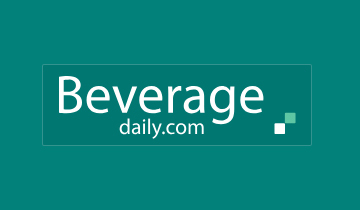 In November 2018, LAXNESS, a specialty chemical company announced an immediate price increase of the brands Pocan (PBT blends) and Durethan A (Polyamide 6.6). 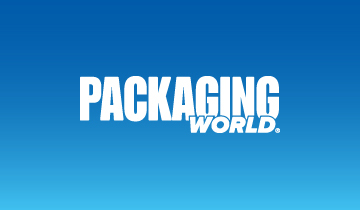 Laser transmission welding is gaining center stage with the technique’s growing importance in commercial production of compact plastic parts used across industries including automotive, electronics and consumer electronics. Optical properties of plastic combined with process parameters determine the efficiency of laser transmission welding. Lower transparency of PBT has hindered optimum optical transmission, thereby resulting in low quality laser transmission welding. In the past decade, there have been significant strides in the PBT marketplace wherein PBT manufacturers have ramped up their efforts to increase the transparency of PBT. Leading providers of polybutylene terephthalate have introduced PBT resins with improved transparency and optical properties that deliver better results in laser transmission welding. Plastic polymers have become an integral part of automobiles wherein increasing demand for fuel efficiency, comfort and light-weight has further increase reliance on the plastic polymers. PBT remains the preferable choice of material for multiple electric components used in automobiles including connectors, sensors, control devices, switches, power sockets and transformer insulation. In addition, increasing production of electric vehicles has generated the need for highly efficient and compact-sized electric components. Owing to PBT’s beneficial electrical, chemical, thermal and mechanical properties such as dimensional stability, high stiffness, and greater heat resistance, demand for PBT in the automotive sector is set to rise in the future. 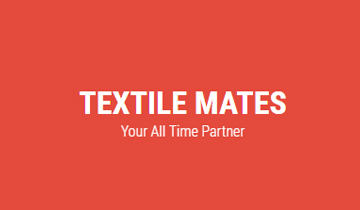 For a detailed analysis of all the key factors in the PBT market, request a sample. The PBT market report provides the most comprehensive analysis of the competitive landscape prevailing in the PBT marketplace. A thorough discussion on the PBT market players’ business strategies enables the readers to fathom the product offerings of different market players, the market size of key players and competitive scenario in the PBT marketplace. 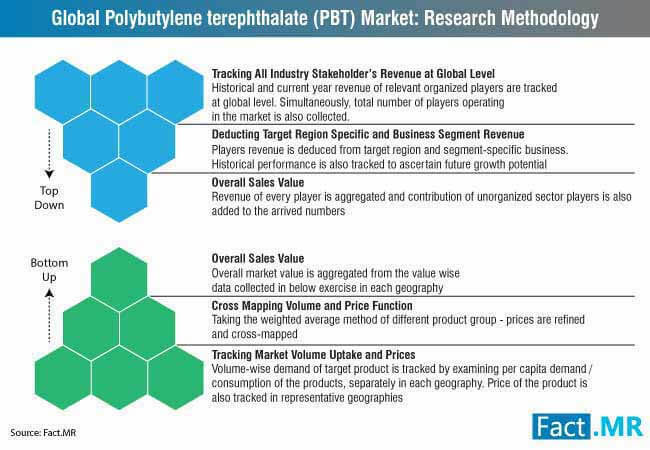 Key companies profiled in the PBT market report include BASF SE, Chang Chun Plastics, DSM Engineering Plastics, Lanxess AG, DuPont, SABIC, Mitsubishi Chemical, Polyplastics, Shinkong Synthetic Fibers, Celanese Corporation, Toray Industries, SipChem and others. Manufacturers in the PBT marketplace are leveraging acquisition and production capacity expansion strategies. For instance, In December 2017, Celanese Corporation, a U.S. headquartered specialty materials company announced agreement signing to acquire Omni Plastics and its subsidiaries which includes the company distributor Resinal de Mexico. With the acquisition, Celanese is planning to integrate Omni Plastic’s thermoplastic compound portfolio which includes polybutylene terephthalate formulations. In 2018, Celanese also acquired India’s leading engineered thermoplastic compound provider Next Polymers Ltd. after sensing the lucrative opportunity in the country. In the second quarter of 2018, Saudi International Petrochemical Company (Sipchem) announced the commencement of commercial operations of PBT plant in Jubail Industrial City, first in the Middle East. The PBT plant capacity is 63,000 mtpa and is said to be a crucial expansion step taken by Sipchem to ensure growth in the region. In March 2018, LAXNESS, a leading provider of polyamide 6, polyamide 66 and PBT commissioned a new production line thermoplastic specialty compounds with capacity expansion by 10,000 metric tons/year in Krefeld-Uerdingen, Germany. In March 2018, Polyplastics USA, a leading supplier of thermoplastic polymers announced a merger with TOPAS Advanced Polymers, Inc. 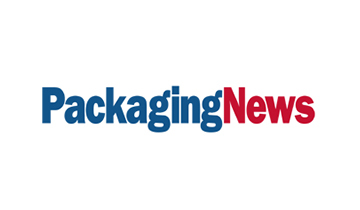 The merger is aimed at expanding Polyplastics existing portfolio with TOPAS® compounds. Fact.MR has compiled a new study on the PBT market and published a report titled, “PBT Market Forecast, Trend Analysis & Competition Tracking - Global Market Insights 2018 to 2027.” The PBT market report covers all the vital facets of the market including chemical industry landscape, PBT production data, PBT consumption trend and raw material landscape. The PBT market report also covers the market drivers, restraints, trends and opportunities that hold significant influence on the growth of the PBT market during the forecast 2018-2027. The PBT market is carefully categorized into segments based on PBT production, consumption and end-user applications. The market structure thus derived includes PBT market segmentation based on applications and regional analysis. Based on application, the PBT market is categorized into electrical & electronics, automotive, consumer appliances, industrial, extrusion and others. A thorough analysis of these applications across regions and their market size forecast in terms of value and volume are covered. The PBT market structure also covers market analysis for key global regions including North America, Latin America, Europe, Japan, APEJ and MEA. Each region is studied for consumption of PBT across applications as well as in key countries. Thorough country-wise analysis as such delivers the most credible and go-to forecast of the PBT market. In addition to the aforementioned insights, the PBT market report also covers all-inclusive insights of the PBT market wherein the discussion includes information that may address some of the bemusing questions of business professionals interested in PBT market. What will be the market size of PBT in terms of value and volume in 2018? Considering the extensive applications of PBT, in which application sales of polybutylene terephthalate (PBT) will be higher in 2018 and by the end of the forecast period? What will be the consumption and production trend of PBT across key business regions? 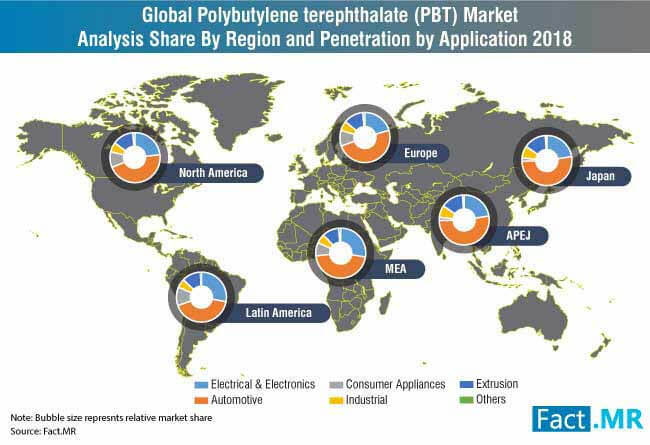 Which region will register the highest demand for polybutylene terephthalate (PBT) in 2018 and by the end of the forecast? In this section of the PBT market report, an in-depth discussion on the methodology of research followed during the course of the PBT market study is covered. The section also includes a thoroughly elaborated primary and secondary research approaches followed during the PBT market study. The section also covers information regarding the sources used during primary and secondary research analysis of the PBT market.